South Carolina state tapestry: From the Mountains to the Sea; photo courtesy of the South Carolina Cotton Museum (all rights reserved; used by permission). 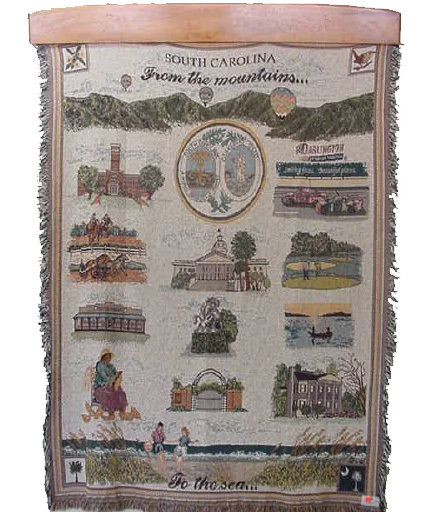 South Carolina designated "From the Mountains to the Sea" as the official state tapestry in 2000. The tapestry was made from 100% cotton and represents all areas of South Carolina. It is displayed at the South Carolina Cotton Museum in Bishopville, South Carolina.